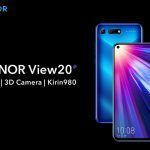 The Honor View20 is set to become one of the first high-end phones to launch in India this year. The device was first launched in China in the last week of December. 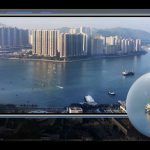 It offers the world’s first 48MP mobile phone camera and a punch-hole display, too, so the device is a trendsetter in more ways than one. 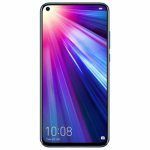 As per media invites sent out by Honor, the launch for Honor View20 is scheduled for January 29. Here, let’s take a look at the expected specifications and pricing of the handset. For their part, both Honor and Amazon have put up teaser pages on their websites for the upcoming device. The handset will have its international launch in Paris, France, on January 22. A week later, it will come to India, but Amazon has not revealed or confirmed the India launch date yet, even as it has put up a teaser page with a ‘Notify Me’ option. The Honor View20 has a dual-camera setup at the rear, but the secondary sensor is not your usual camera sensor. It is a 3D Time of Flight (ToF) sensor for sensing distance of objects and helping create a great bokeh effect. The primary sensor is a huge 1/2-inch Sony IMX586 sensor with 48MP resolution and f/1.8 aperture. The front-facing camera has 25MP resolution and it is fitted within a 4.5mm hole that replaces a 2018 smartphone fad: the notch. 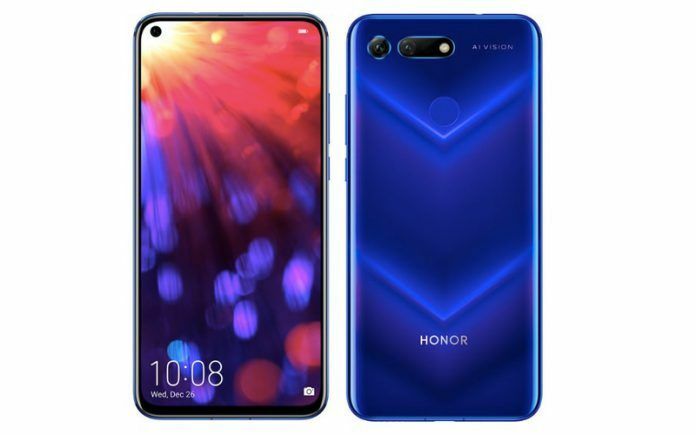 The hole is seen on the top-left corner of the display, and Honor says it will not affect the functioning of the device adversely. Honor calls this new display technology its All-View Display, where the side bezels are minimal and the chin is quite narrow too. With a 6.4-inch IPS LCD display with Full HD+ resolution, 91.8% screen-to-body ratio and no notch. Other design elements include a metal body and special nano-lithography that gives the glass back panel a rare V-shaped light reflection. 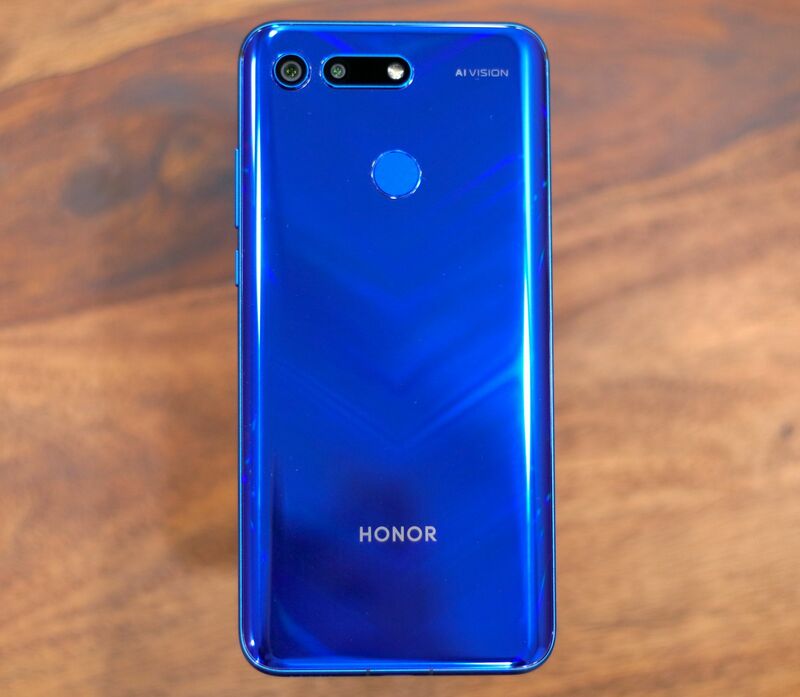 Honor calls the result a gradient color with gleaming effect, but the gradient here looks very different from the usual gradient backs we have seen on other phones. The device also gets a new NINE water cooling technology that aids in keeping it cool under heavy use. Performance wise, the device will be the first one from the Honor brand to come equipped with a 7nm Kirin 980 chipset, the same processor that powers Huawei’s new flagship device Mate 20 Pro. 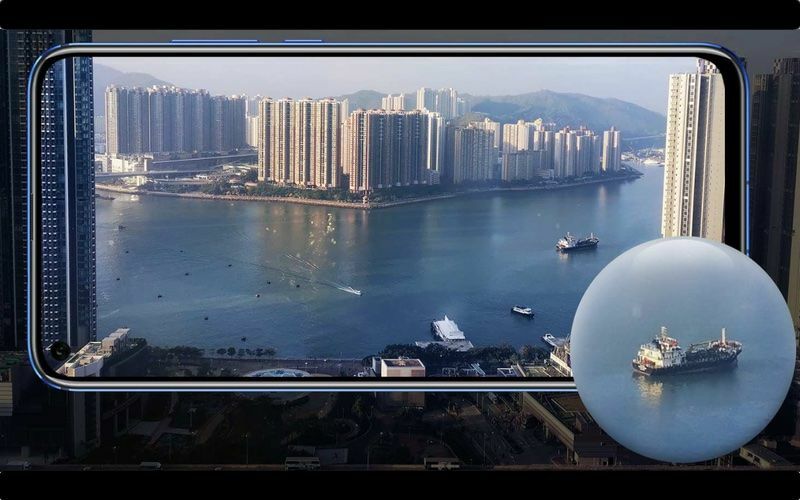 But since the Honor View20 is expected to cost a lot less than the Mate 20 Pro, it will have its own distinct appeal. There’s 6GB/8GB of RAM and 128GB/256GB internal storage space. There’s no microSD card slot, though. The phone also has a 4000mAh battery with 22.5W supercharging support. Honor says you can get a full day’s battery in just 30 minutes of charging, but the brand has not specified what percentage of the battery is charged in that duration. There’s dual-SIM card slot, 4G LTE, Wi-Fi, Bluetooth 5.0, USB 3.1 Type-C port, 3.5mm headphone jack, and a fingerprint reader. In China, the price of the device is CNY 2,999, which is about INR 30,000 in India. 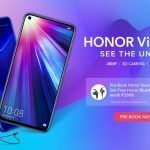 Since Honor has always kept its pricing quite aggressive here in India, we can expect the Honor View20 also to be priced aggressively well, either at INR 30,000 or even less. However, we also have to think about the possibility of it being priced anywhere between INR 35,000 and INR 40,000.